While Russia's military exercises sound a western alarm, blunt reality offers better advice. A T-50 prototype for the Su-57 flies at the MAKS 2011 air show. Wikicommons/ Alex Beltyukov . Some rights reserved. Russia’s massive Vostok-2018 military exercises from 11-17 September are receiving much attention in the western media, all too easily conjuring a spectre of the Russian bear once again ready to pounce on a weakened west. The involvement of neighbouring China adds an extra frisson. The height of this coverage lies in tabloid reports in Britain that the wargames include the deployment of 36,000 tanks: quite an achievement when authoritative sources put the Russian army's total at 2,700 (see The Military Balance, IISS, 2017). Some of the figures mislead: 36,000, for example, refers to each item of army equipment, whether small or tank-sized, which somewhat alters the scale. That said, Vostok-2018 – the word denoting "East", as in the city of Vladivostok – is indeed an exceptionally large operation, about twice the size of the last such exercise in 2014. But is this a display by a global military superpower, a retread of its Soviet predecessor? In considering this question, a degree of perspective is essential. A useful reference-point is Russia's five-day war with Georgia in August 2008, which – despite Moscow's success – exposed such failings that Vladimir Putin and the military leadership decided to accelerate the armed forces' modernisation. High oil prices favourable to Russia's energy-centred economy had already allowed improvement in specialisation of functions; now training and equipment were seen as priorities. A decade later the relative success of these upgrades is clear, but caution is needed in assessing exactly how efficient and capable Russia's military have become. The point is reinforced by the story of the deployment in January 2017 of Russia’s sole aircraft-carrier to Syria, its twelve strike-aircraft tasked with joining Moscow's air-war on the side of Bashar al-Assad’s regime. The Admiral Kuznetsov received huge media coverage in Britain when it sailed near England's southeast coast on the route to the eastern Mediterranean( see "Britain's military: costs of failure, symbols of vanity", 26 January 2018). In the event, two of the ship's planes were quickly lost to malfunctions, and most of the rest were then flown off the ageing carrier to a Russian airbase in order to continue their raids. The messy reality, in other words, was far from the media depiction of a sinisterly powerful danger (see "The mystery of the Russian planes that never were", 22 February 2018). A more accurate estimate of Russia’s military capabilities must take both the country's economy and the specifities of military policy into account. The vast country's population is just over 140 million, with a GDP around twelfth in the world. For comparison, its GDP is a third smaller than the United Kingdom's, though it has over twice the number of people. But if it is outside the top ten of major economies, Russia's per-capita military spending is a good deal higher than any European member of Nato, while its annual military budget is broadly similar to the UK's. Russia has strong assets. It has maintained substantial nuclear forces, undertaken military adventures in Crimea (2014) and Syria (2015), prioritised special forces, and developed the practice of "hybrid warfare". In its own terms this is a considerable record, but it does not equate to a transformation that brings Russia's capabilities to parity with the west's. The funds have simply not been available. A prime example is the decline of the Pacific fleet, once powerful but now also ageing and with a tempo of activity to match. Some of its components, however, may be participating . Two further examples illustrate the need for caution, the first being Russia's satellite-based intelligence gathering. The immediate post-cold war period saw a marked decline in Russia’s satellite capabilities, which recent efforts have not yet remedied. 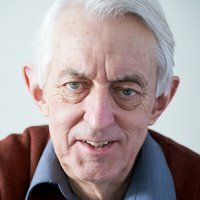 Bart Hendrickx described the satellite fleet in Jane’s Intelligence Review as “small and increasingly outdated”, concluding that “Russia’s ability to conduct satellite-based intelligence is likely to remain significantly behind that of its major power rivals for at least the next five years”. 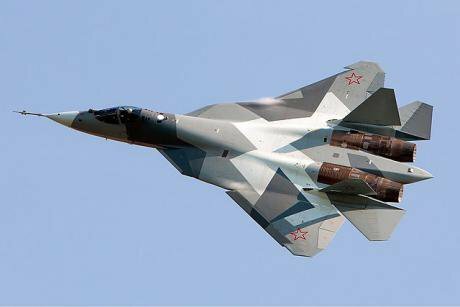 The second example, even more indicative, is the fate of Russia’s most advanced strike-aircraft, the Sukhoi-57. This has been widely heralded as Russia’s first fifth-generation aircraft, intended to be a match for the United States's F-22 that is already being operated by the US airforce and marine corps. A few months ago, two SU-57s were observed at a Russian base in Syria, inviting the assumption that they were already operational. More likely, as suggested by later analysis, was that their presence was to showcase the aircraft in pursuit of export orders. Nonetheless the British tabloids went full steam ahead about the new Russian threat (see "Moscow's armourers and British tabloids", 2 March 2018). With characteristic emphasis, the Daily Express announced "Russia's war WARNING: Putin's fearsome Su-57 stealth fighters SPOTTED being unleashed - VLADIMIR Putin has sent his fearsome new state-of-the-art Su-57 stealth fighters for combat trials in the Syrian war zone" The Daily Star echoed the approach with "Putin’s SECRET WEAPON: Russia unveils new ‘Ghost’ stealth fighter jet - VLADIMIR Putin has flexed his military muscles once again – revealing the country’s first ever stealth fighter jet”. Against such high-volume warnings, the news that the Su-57 will not go into serial production has received far less attention. Put more bluntly, the whole programme has been cancelled. There are other similar cases: neither the advanced Armata tank nor the Armata-based Kurganets infantry fighting vehicle will be produced in bulk, as the combined production run amounts to only 132, not the thousands initially proposed. That Moscow's new weapons programmes can be abandoned or cut, or that its military operations are vulnerable to setbacks, do not undermine Russia's status a significant military power. Russia’s military under Putin have been adept at expanding their abilities. If the economy improves, the defence establishment will surely push hard for a good share of the proceeds. But the evidence also suggests that the western branch of the worldwide military-industrial complex tends to exaggerate the Russian threat in the interest of new orders and big profits. When alarmism about Russia is routine, that must be kept in mind. But so too is the certainty that the Russian branch of this complex, if perhaps on a smaller scale and over a longer period, will be playing the same game.